I had a few minutes spare in Melbourne before the train home so I went to the library of the Genealogical Society of Victoria. 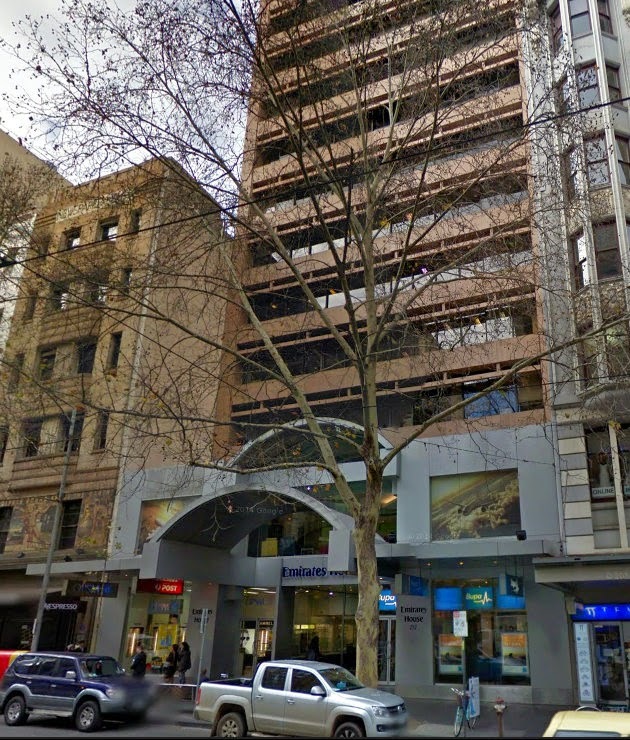 The GSV is in the Emirates building on Collins Street midway between Elizabeth and Swanston street. 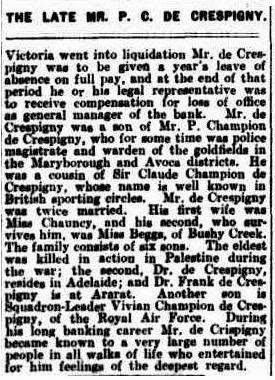 As a quick genealogical task to make use of the library’s resources, I thought I would look up an old street directory to see where my great great grandfather, Philip de Crespigny (the bank manager), worked. 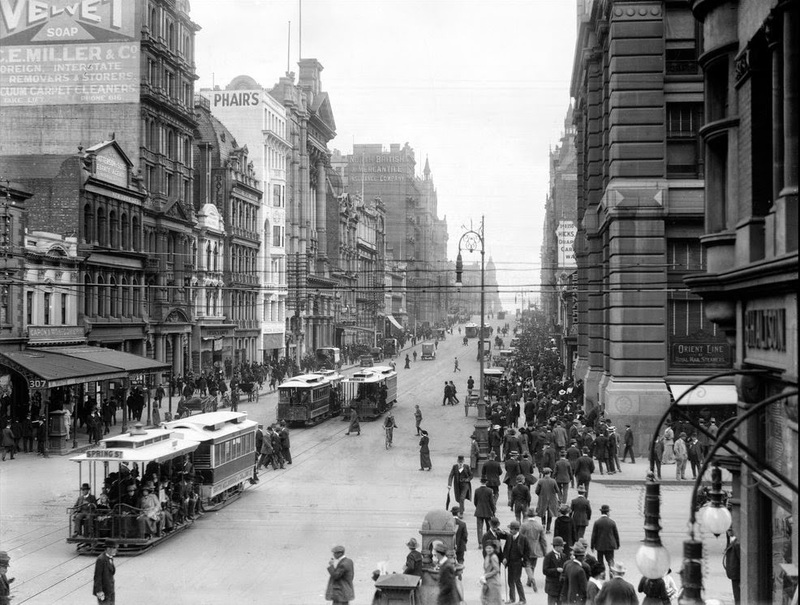 I had always looked out the tram window when travelling along Collins Street and wondered which of the marvellous buildings had been the headquarters of the Bank of Victoria in the early twentieth century. 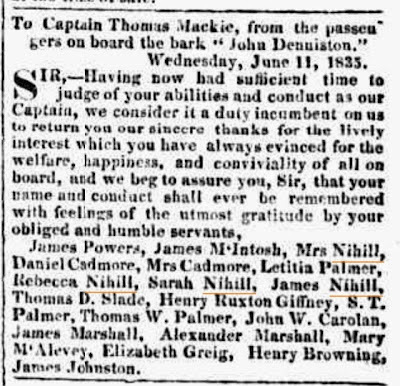 Philip de Crespigny (1850-1927) was the son of Philip Robert Champion Crespigny (1817-1889) who I refer to as Philip the gold warden, and Charlotte Frances née Dana (1820-1904). 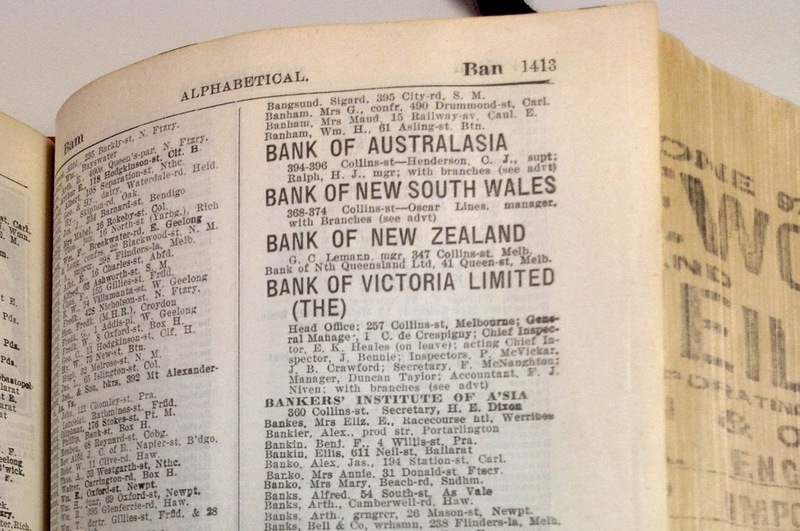 Philip worked for the Bank of Victoria for most of his life. 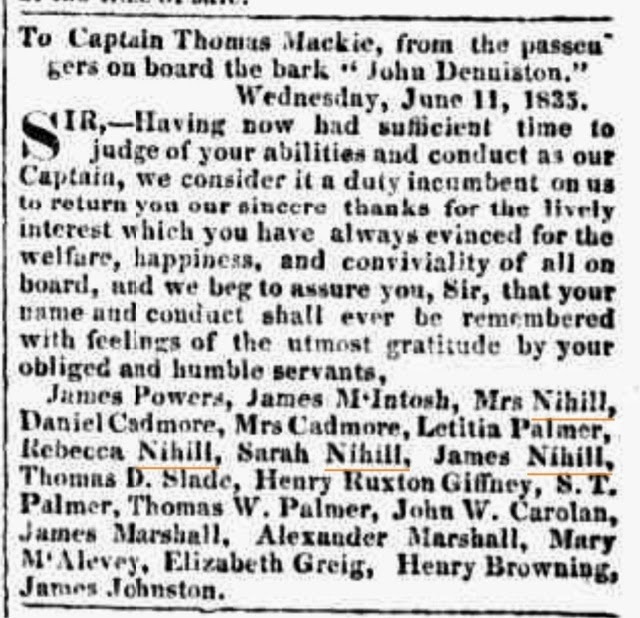 Philip’s obituary in the Argus mentions he became general manager of the Bank in 1916. 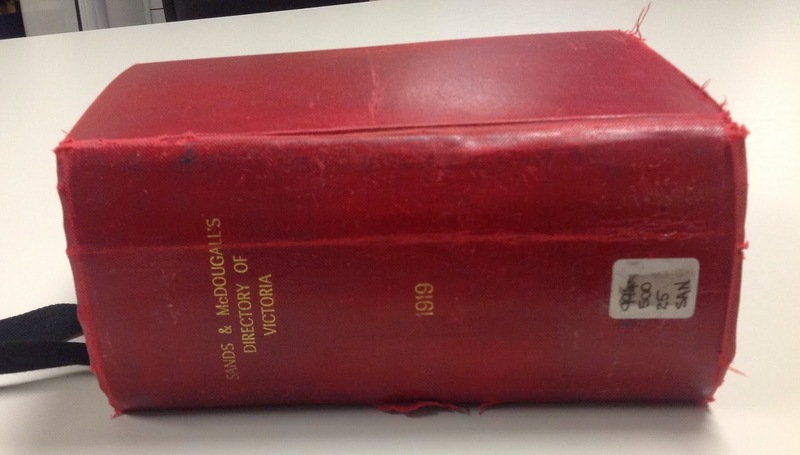 The quickest source of information was a Sands and McDougall directory for 1919. 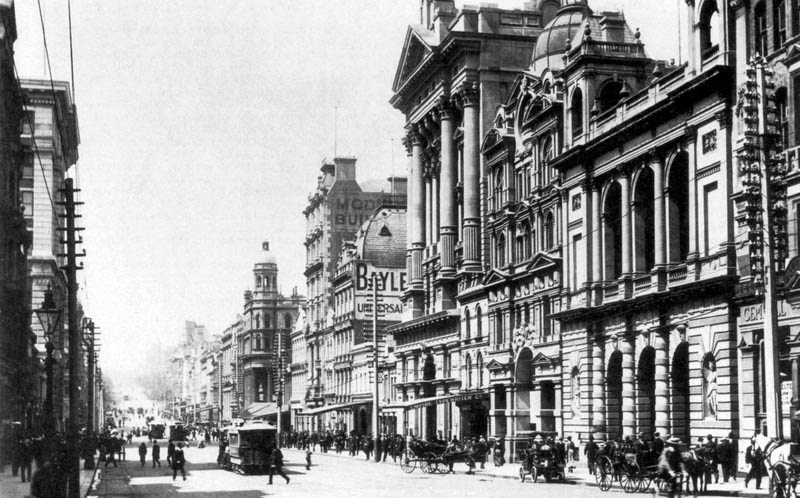 In 1919 the headquarters of the Bank of Victoria was at 257 Collins Street. With the aid of a Google maps I worked out it was less than a minute walk; in fact it was the building I was in. I could have looked at my GSV membership card! 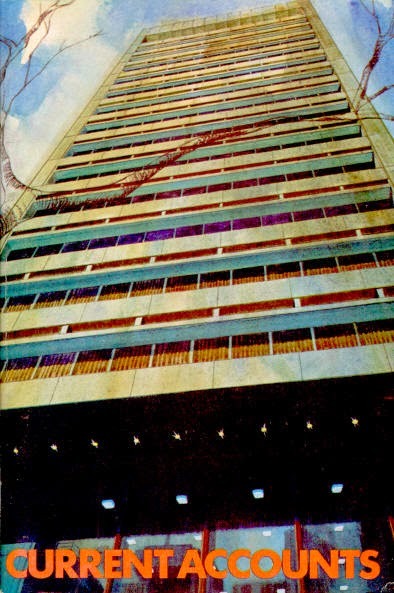 The building was redeveloped by the Commercial Banking Company of Sydney in the early 1970s. It was refurbished in 2000. The building my great great grandfather worked in does not survive. 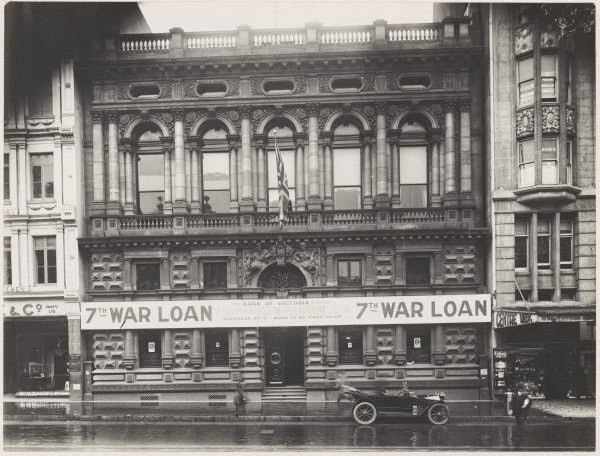 This is a picture of the building in 1918. 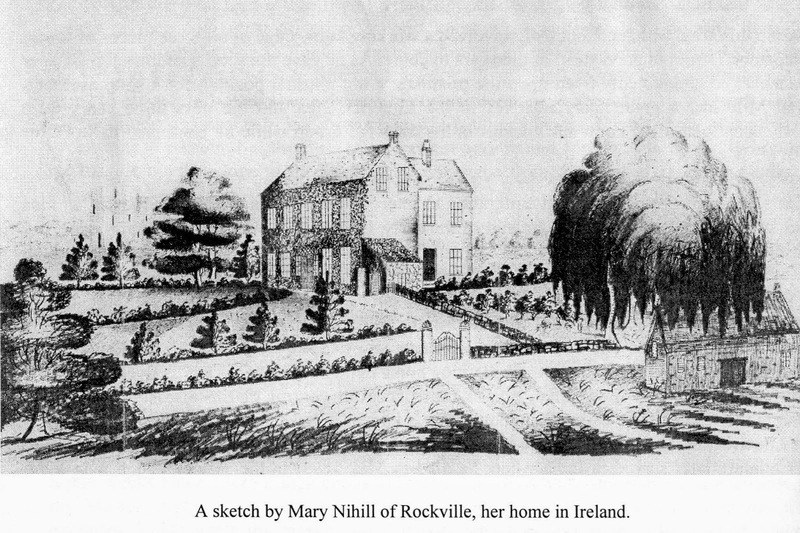 The building was designed by Joseph Reed in 1862. An article in The Age of 21 May 1985 by John D Keating states that the building’s facade was inspired by the Palazzo Pesaro in Venice. The interior of the building was renovated in the 1930s. 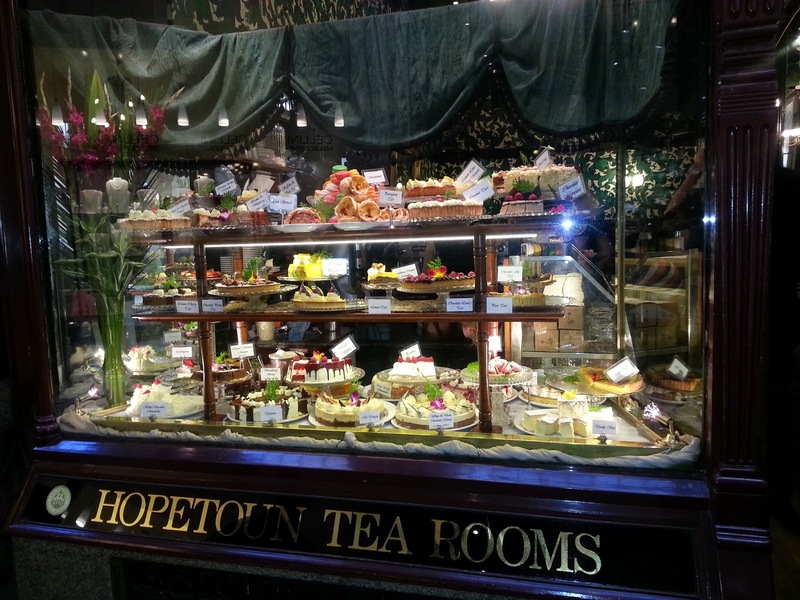 I wonder if my great great grandfather went to the Hopetoun Tea Rooms across the street in the Block Arcade and liked the cakes as much as I do. Hopetoun Tea Rooms in June 2013. I cannot find a picture from the early twentieth century. They have been in the Block Arcade off Collins Street since the 1890s.